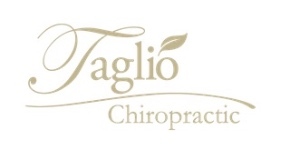 Taglio Chiropractic and Family Wellness knows that chiropractic and a healthy lifestyle go hand in hand. Chiropractic is the key to unlocking the potential within your nervous system, allowing your body to heal and work optimally, however, the lifestyle you live, after leaving our office, will set the standard for your health and how fast you heal. With our "whole body" approach, we provide Gonstead-specific chiropractic care, body strengthening, advanced nutrition strategies and real detoxification at the cellular level, to get to the root cause of your issues, so you can empower your body to fully heal and resist re-injury and sickness. Dr. Taglio's desire is to serve and support her community in achieving a healthy body and radiant wellness, maximizing quality of life through a specific and precise method of hands-on healing.